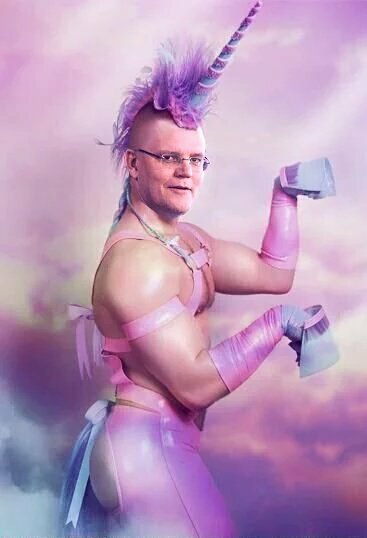 strokeofluck: Scomo The Unicorn has returned, however his mystical powers appear to have deserted him. Scomo The Unicorn has returned, however his mystical powers appear to have deserted him. Scomo The Unicorn has returned and the LNP now realises that they didn't get what they wished for when they played snakes and ladders a short time ago. They threw the dice and went down the ladder and landed on the mystical Scomo Unicorn who appeared out of nowhere. Now we are learning fast that the only relationship Scott Morrison has to a real Unicorns is that he behaviour is a mystery. His antenna seems to point all over the place, his policies are on and off like a proverbial light switch. And since landing on Scomo Unicorn when they had their next throw they had to move backwards which was not what they expected at all. They believed that the Unicorn mystical powers would move them forward. Now everyone wonders why on earth they decided to play the game in the first place. The team that played the first game won't take the blame, and the second team who fell for the Unicorn seem's to have stuffed it up also. Labels: Australia, Canberra, Coalition, Current Affairs, Labor, Opinion, Politics, Strange but true?